Join us for the release of Petah Coyne: Having Gone I Will Return, the exhibition catalogue for Coyne's solo exhibition, on view now at Galerie Lelong & Co. The fully illustrated catalogue features an essay by Jenni Sorkin, Associate Professor, History of Art & Architecture, University of California, Santa Barbara. The event will begin with a gallery talk between Petah Coyne and Stephanie Buhmann, followed by a book signing and reception. Since the 1980s, Petah Coyne has received acclaim for sculptures with intense emotional content composed of intricate, unorthodox material such as shredded vehicles and chandeliers often dripping and covered in wax. 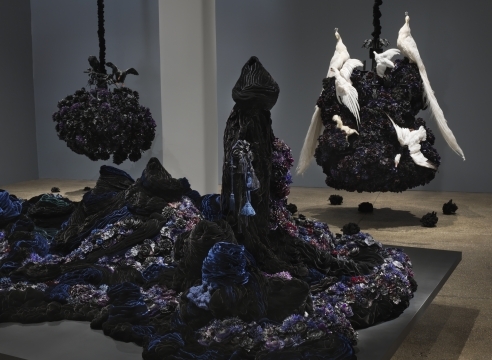 Having Gone I Will Return presents new and recent work by Petah Coyne. In her first solo exhibition in New York in nearly a decade, Coyne conceives ambitious tableaux that evoke cross-cultural themes of vanity, grief, and tragedy. Stephanie Buhmann is currently a doctoral candidate in the History of Art at the Humboldt University, Berlin, and is a contributing editor at Artcritical. Her essays and art reviews have been published internationally, including Kunst Bulletin, Sculpture Magazine, The Brooklyn Rail, ARTPulse, Art on Paper, Art Papers, Art Collector, and Art Lies. 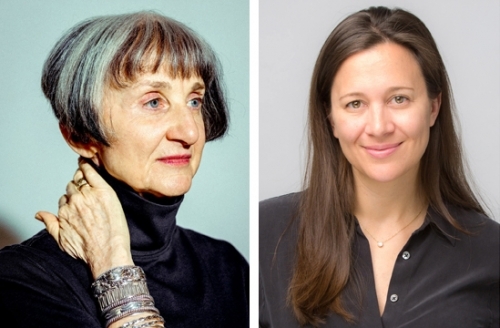 Her most recent book, New York Studio Conversations Part II: Twenty-one Women Talk About Art, published by The Green Box, features an interview with Petah Coyne. The event is free and open to the public. Books will be available for purchase.